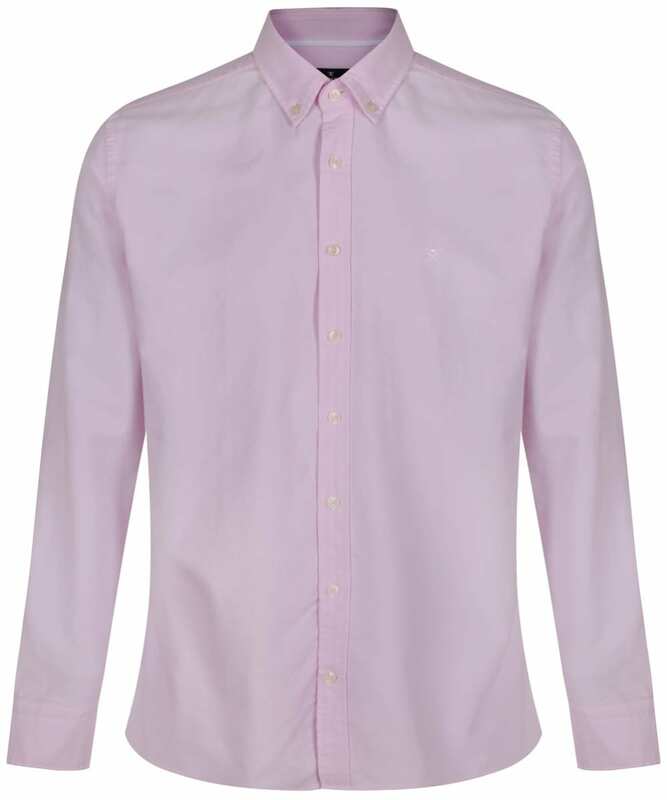 A staple that should feature in every stylish man's wardrobe, the Hackett Oxford Slim Shirt is one of the most versatile pieces you will own. 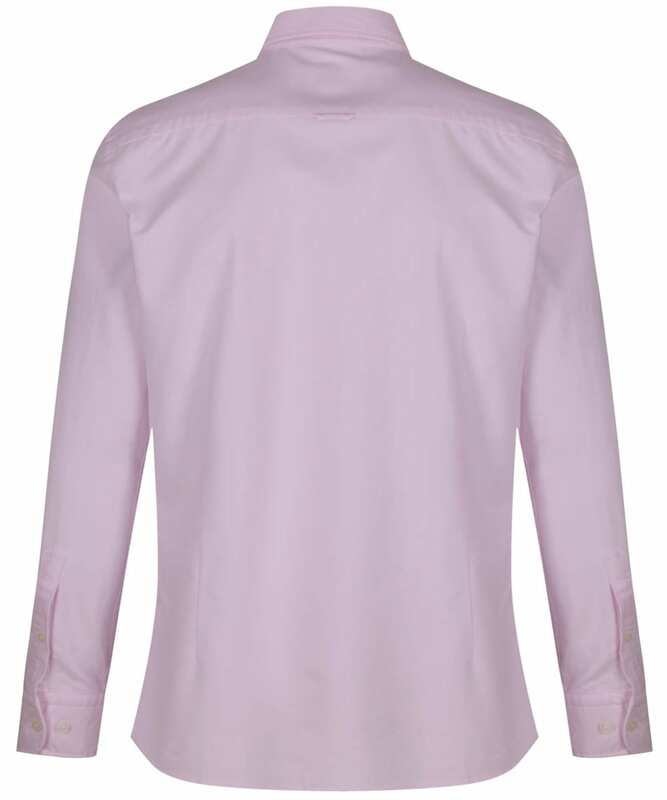 Cut to a flattering slim fit, the Oxford shirt will skim over the shoulders and sit close to the body to offer a stylish and fashion-forward look. 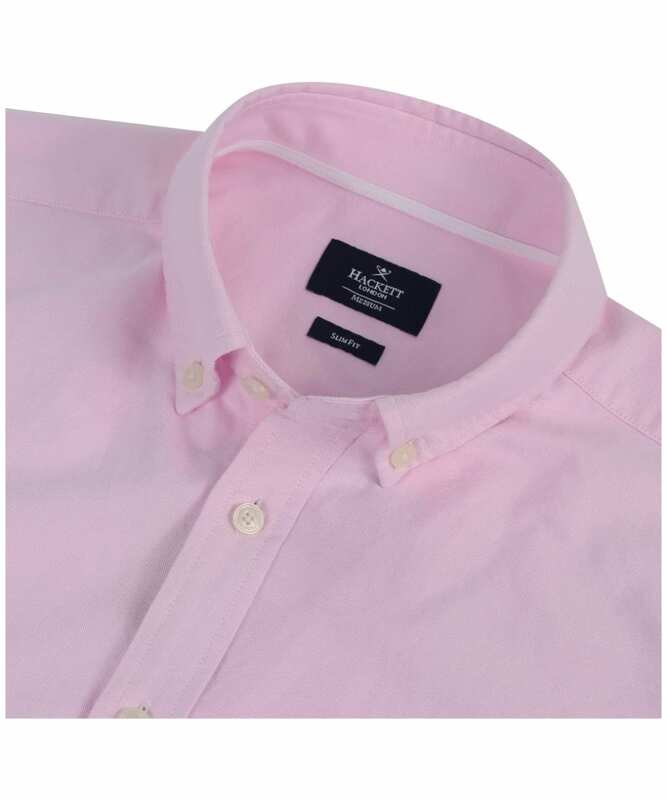 The cuffs feature a double button closure, meaning they can be rolled up to transform the shirt from a formal style to an effortless casual look in next to no time. The Hackett Oxford Slim Shirt features a button down collar to offer a sleek finish.